There's a major shake-up happening in the plastic manufacturing industry. And the change is happening remarkably quickly across the world for converters and brands alike. Here I unpack the key trends that will continue to shape the sector. It’s been a watershed year in the plastics industry. Globally the noise around plastic pollution has increased, and recently there’s been key decisions from governments, brand owners and the industry at large. But this is not the end for the industry. 1. Eliminate the production of unnecessary polluting items or replace them with more environmentally-friendly solutions, i.e. straws, earbuds, plastic fast food containers and plastic cutlery. 2. Move away from necessary, but ‘not easily’ recyclable items. It’s more difficult in cases where the requirements of product protection includes the use of complex barrier films, which make recycling difficult. It also requires collaboration and an openness to innovation between the converters who make the material, and the brand owners who demand the use of, or performance that these materials provide. A good example is the reduction in the use of colours in beverage and home care bottles. Uncoloured plastic is more valuable in the recycling stream and so it’s more likely to be recycled. Recently in Europe, a number of large plastics converters committed that all the products they produce will be recyclable by 2025. 3. Close the circle and ensure that those items that are “fit for purpose” and made from materials that can be recycled (e.g. PET beverage bottles) are actually recycled. This is done by supporting the recycling industry to ensure that recycled items find an end-use market. This includes supporting recycling financially (e.g. through contributions to EPR (Extended Producer Responsibility) organisations), to purchasing and using recycled material back into the products you produce, or owning and running recycling organisations to ensure the industry remains sustainable. In South Africa, this global trend is reflected in the call from government for the industry to develop waste management plans for their specific materials. 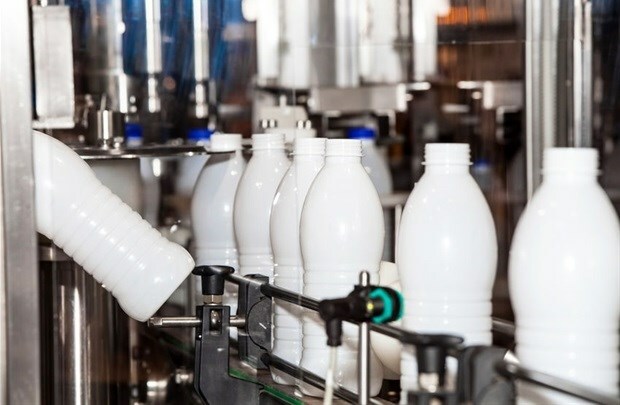 The consolidated plan submitted by Packaging SA in September 2018, is currently under review and it’s likely that the potential impact of these plans will be felt in 2019. This could be in the form of increased contributions by the industry, and ultimately consumers to PRO (Producer Responsibility) organisations or directly to government in the form of a ‘waste tax’. Positively, this should broaden the base of revenue collection for recycling and enable EPR organisations to achieve, and ultimately recycle more. The downside is that this additional cost must be passed through the industry to the consumer and is yet another tax on an already stressed customer. Another consideration is the potential impact that government’s decisions could have on EPR organisations. Until now, most successful EPR organisations like PETCO, Collect-a-Can and the Glass Recycling Company were started and supported by industry without government intervention. PETCO collected voluntary contributions from industry members and used funds to build an enviable recycling industry. The risk with government intervention or taxation is that if funds are collected by government and do not find their way back to the PRO’s, then it might collapse. Initiatives such as Clean-up and Recycle SA Week are a great measure to raise awareness on the waste to landfill versus recycling conundrum faced in the country. For the beverage industry, the implementation of sugar tax in April 2018 came after over a year of debate and interaction with government. In the end, most believed that the effort to try and mitigate the proposed tax was successful with the final concession to allow the first 4g/100ml to be tax free, and reduce the tax rate slightly, was a real victory. The delayed implementation to 2018 allowed many brands time to reformulate their products, and so when the tax was implemented, much of the industry had either reformulated or introduced new pack sizes to try and mitigate the potential price point movement and as a result protect volume. There is no doubt, however that the tax affected the Coca-Cola system most of all, because they weren’t able to reformulate their core brands as much or at all. In contrast, most ‘value’ brands have reduced their sugar content to 4g or less through the addition of sweeteners and other additives. The reality is that much less sugar is being consumed by the beverage industry and the tax that ultimately flows to the treasury is going to be lower than forecast. The risk, therefore, in 2019 is that the tax is either increased, or the 4g hurdle is dropped to generate more tax. David Drew is Head of Commercial sub-Saharan Africa at Alpla SA. He's a qualified Chemical Engineer with 20 years' experience in FMCG. 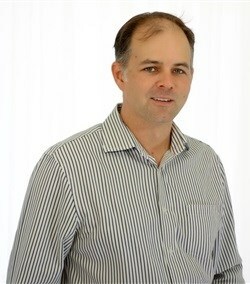 Having graduated from University of KwaZulu-Natal, David joined Unilever as process engineer and spent 10 years at the multinational in a number of roles; progressing from a production environment in edible oils, capital projects, supply chain and finally in marketing and sales for Lipton Ice Tea. In 2007, David joined what is now Alpla SA.